Some Android smartphones, like many from the Samsung Galaxy line, could play YouTube videos in a floating window while you did other things on your phone. With Android O, Google is bringing this to all Android smartphones by baking in a Picture in Picture mode right into stock Android. However, we all know the sorry state of Android updates. So even though the feature is coming to stock Android, it’s not coming to everyone on Android. While we can’t do much about Android updates, we can help you get floating YouTube videos on your Android smartphone. 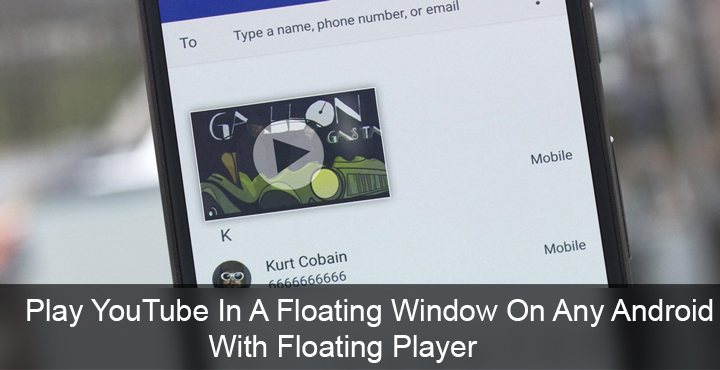 This is made possible with an app aptly called Floating Player that lets you play YouTube videos in a floating window. There are many such apps on the Google Play Store claiming to do the same thing, but many of them just don’t. And some of them do, but the implementation isn’t that great. 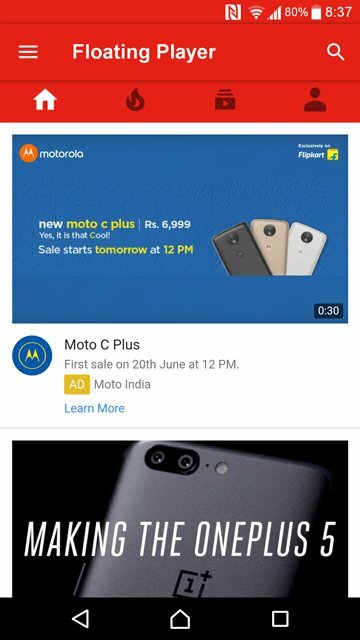 So, considering that all you need is a floating YouTube video player, Floating Player seems like one of the better choices. 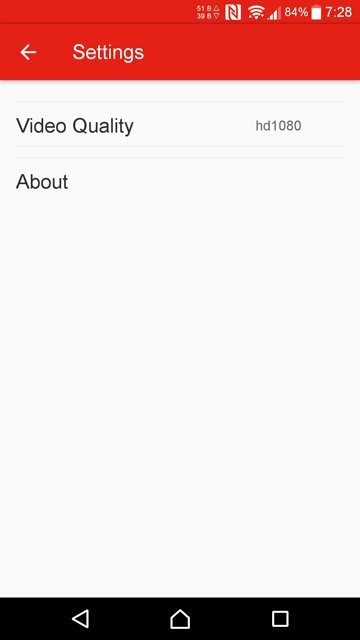 First, the app is really simple to use. More on that in a bit but first, to play YouTube videos in a floating window, you should install the app. So as mentioned the app is really simple to use. Instead of having to copy and paste URLs of YouTube videos or some other trickery, you can simply browse through YouTube, or search for it. 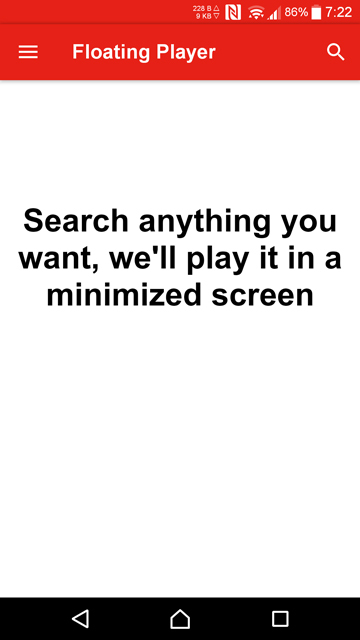 In fact, whenever you launch the app, the main screen simply says, “Search anything you want, we’ll play it in a minimized screen”. 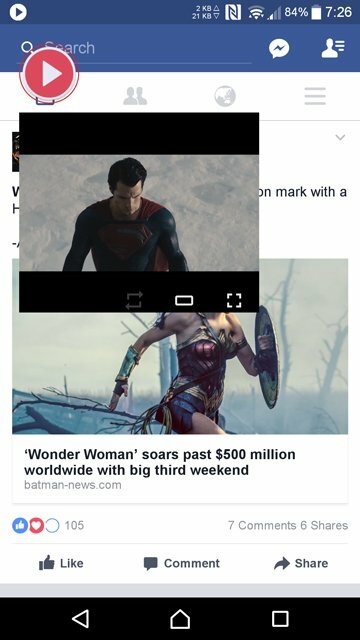 That is one way to use Floating Player, sure. Simply tap the search button in the top-right, search for a video and you can tap on one of the results to start playing it. The video opens be default in a pop-up window which can be dragged around. You can then tap the back button and exit the app, the video keeps playing. 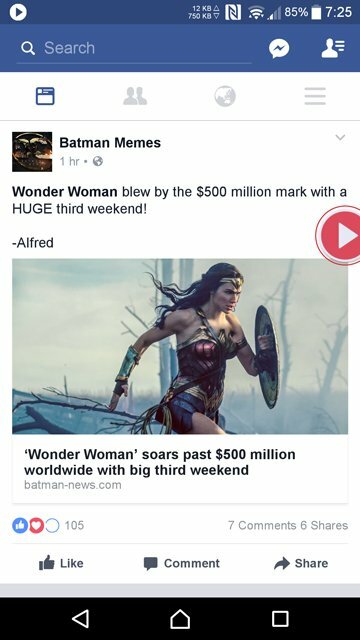 So go ahead, browse your Facebook news feed while you watch the video. If you only want to listen to the audio, you can tap on the Floating Player icon and it minimizes into a floating bubble. Like Facebook Messenger’s chat heads. The Floating Player Window can be widened with the tap of a button, but you can’t resize it according to your own liking. While that’s not a deal breaker, manual resizing would’ve been really handy. You can also enter the full-screen mode directly. But remember that when you press the back button to exit the full-screen mode, you’re taken right back to the app instead of whatever you were doing. However, that is only true if you didn’t close the app after playing the video. Like if you pressed the home button to exit the app, or directly switched to another app using the recents screen. Also, when you want to close the floating window, you will have to minimize it first. Contrary to some of the comments on its Play Store page, the videos don’t keep playing with the lock screen turned off. I’d say that’s a bummer, but the app never promises anything like that. It’s Play Store page clearly says that this isn’t possible due to YouTube’s policies. 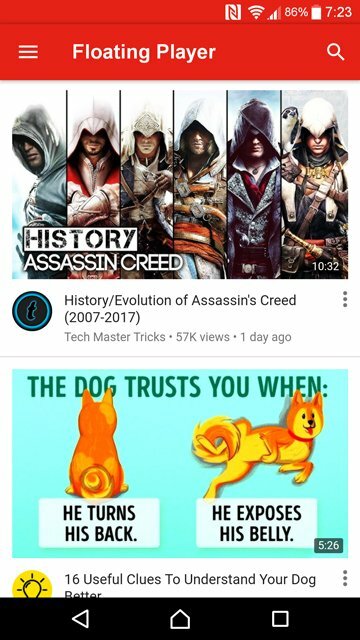 Can it replace your YouTube app? Another way to use the app is to sign-in with your YouTube account. This imports all your Subscriptions and Playlists. This makes it much easier and more natural to watch YouTube videos. 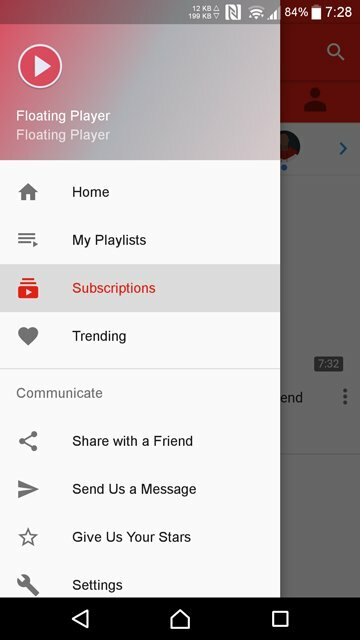 To sign-in with your YouTube ID, you can simply pull the side menu drawer and tap on Playlists, or Subscription. Options that would obviously require your YouTube credentials. The app basically loads up the mobile YouTube website, although, it really does not feel like it. 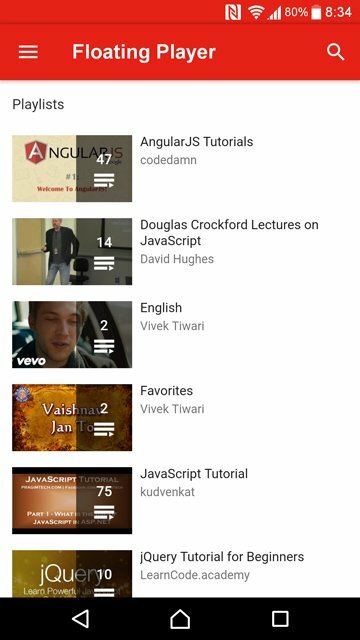 What matters is that you get all the YouTube features here, Playlists, History, your YouTube home page, subscriptions, everything. Must read: Looking for a Free Professional Video Editor for Android? Try MOCR! Like I said a couple times already, the app is really basic and as a result, there isn’t much to tinker around here. You access the app settings from the side drawer menu. The only setting it has is the quality of the video. So can it replace your YouTube app? You tell us. If you don’t mind using the mobile website over the YouTube app or if you mainly use the YouTube app to listen to music, I don’t see why it can’t. It depends on how you use YouTube on your phone. So let us know in the comments below.